Imagine if everyone had yoga in schools. This thought struck me ten years ago after completing yoga teacher training. And that’s when the yoga stories came flying out of me at all hours of the day. I knew I had to help spread the benefits of yoga to children everywhere. Fast forward to 2015, where I found myself surrounded by others who think the same way—we believe in the power of integrating yoga into schools. Then I learned about a group of people who have dedicated the past decade to producing yoga and mindfulness programs and conducting research about yoga in schools. I was in heaven at the Yoga in the Schools Symposium last week at Kripalu, situated in the mountains of Western Massachusetts. As the snow fell outside, over 100 of us gathered together in the warmth of the retreat center to talk about the joy of yoga and share the status of yoga in schools today. The knowledge I gained was paramount, but the people I met were priceless. Today, I would like to share with you some of the people I met or reconnected with and the work they are doing to bring yoga to schools. 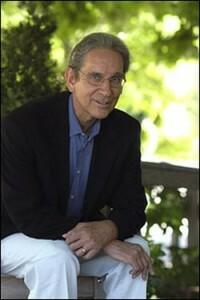 John Ratey was the first keynote speaker at the symposium. 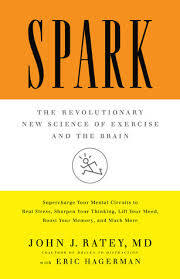 He shared his expertise on the science of movement and the brain. He has dedicated his career to studying the effects of exercise on the brain and is now a strong supporter of applying that same research to yoga. He talked about the benefits of exercise for treating ADHD, mood disorders, stress, and Alzheimer’s. We can use his research to help our children to use exercise and continuous learning to manage their anxiety and stress. Check out his books here. 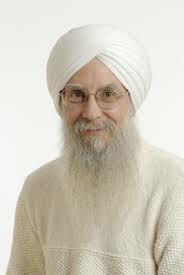 Sat Bir Khalsa is one of the most active, respected, and experienced researchers of yoga. He shared the statistics demonstrating the rapid increase of yoga practice in the United States. He said that yoga is as American as apple pie! The top three reasons people begin to practice yoga are wellness, exercise, and stress management). Children today face many of those same challenges (stress, mental health, attention, behavior, and physical health), and those same benefits that adult practitioners of yoga are seeking can extend to children in school (concentration, calmness, self-regulation, and well-being). 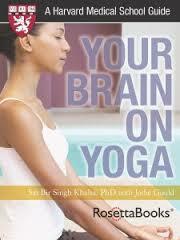 Check out his eBook, Your Brain on Yoga, for further explanations of his yoga research. I took the Yoga 4 Classrooms Professional Development Workshop for Educators course last summer and was excited to see Lisa Flynn on a panel at this symposium, discussing the study of yoga in schools. 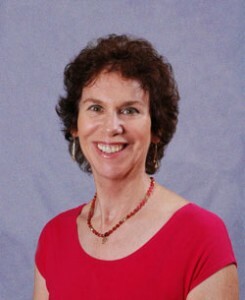 Lisa Flynn’s course is flexible to meet the needs of each classroom and school district. Teachers can take the one-day Yoga 4 Classrooms course, or the staff of Yoga 4 Classrooms could also visit your school to train the staff and help create a yoga program that works for each school. Yoga 4 Classrooms also trains facilitators who can then train teachers in the district. 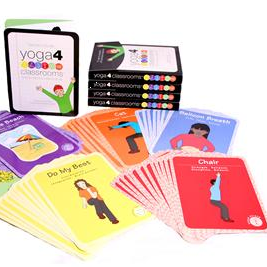 Check out Yoga 4 Classrooms programs here. Nicole is a young, fearless leader who founded Yoga Foster last year in New York. Meeting Nicole in person was great. And her passion is infectious, especially her enthusiasm for spreading yoga training to teachers working at low income schools. Her program is backed by funding that enables her to offer free yoga training to public school teachers through online training, resources (free yoga mats! ), and virtual mentorship. Check out Yoga Foster here. 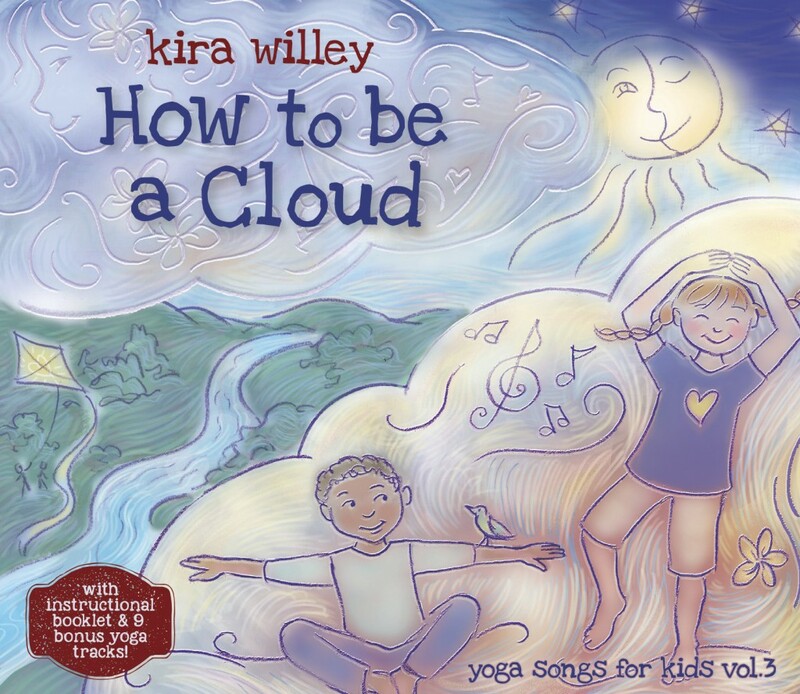 You might already know that my daughter and I are big fans of Kira Willey’s yoga music. It is always a pleasure to hang out with Kira Willey and share how we both express our passion through our creative endeavors (music and books). Kira has been recording Backseat Yoga Breaks for SiriusXM Radio and was recently asked to bring yoga breaks to the classroom at her local school district. 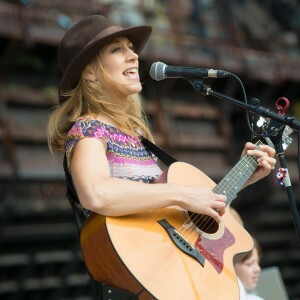 Check out her new CD, How to Be a Cloud, here. I was delighted to meet the lovely Louise Goldberg at the conference. 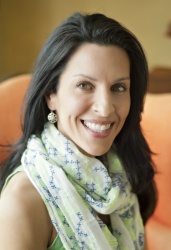 Her work is focused on bringing the benefits of yoga to children with special needs, with an emphasis on children who struggle with autism, ADHD, sensory challenges, and emotional behavior disorders. She teaches Creative Relaxation: Yoga Therapy for Children with Autism and Special Needs teacher training on the East Coast of the states and is the co-creator of S.T.O.P and Relax, a visual curriculum of guided yoga-based movements and breathing exercises for students of all ability levels. 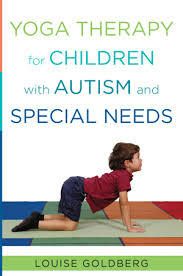 Check out her new book, Yoga Therapy for Children with Autism and Special Needs, here. Kelli Love has the privilege of being the only American-based full-time yoga and mindfulness educator at a school, the Girls Prep Bronx Elementary School. Kelli shared how her school implements yoga in their curriculum through a specials program, morning meetings, family yoga nights, and community council meetings. She described the story of their school’s aims to make yoga a habit for students. Check out Aliza and the Mind Jar, an eight-minute video sharing the story of one of her students and her mom. Aliza and the Mind Jar on Vimeo. The final session was a keynote by Jennifer Cohen Harper and Traci Childress, who shared the progress of the first Best Practices for Yoga in Schools White Book. 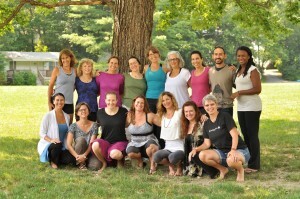 Twenty-three leading researchers, classroom teachers, and yoga teachers working in schools gathered together in the summer 2014 at the Omega Institute. 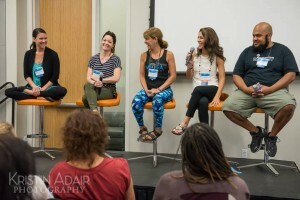 For a week, they hashed out the successes and challenges of bringing yoga to schools. Their work is currently being edited, and the best practices white book should be available later this year. This document will be the source of bringing professionalism to the work of transforming education. 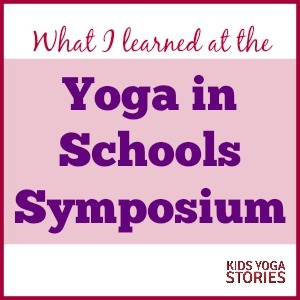 Mark your calendars for next February to come to the next Yoga in the Schools Symposium and join the yoga-in-schools movement that is sweeping the world. 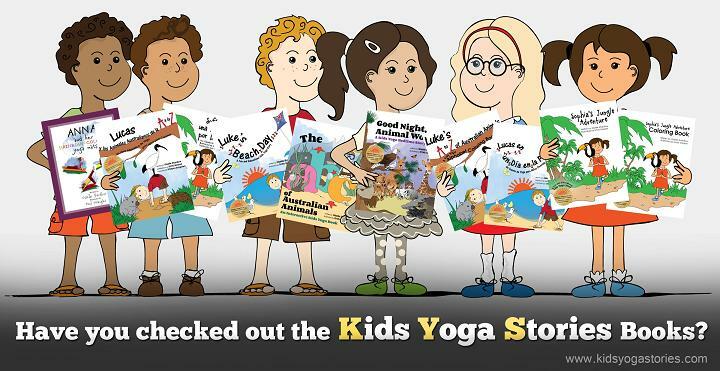 Sign up for our weekly Kids Yoga Stories newsletter for yoga tips and kids yoga resources for your classroom. Are there Yoga in the schools training in England, UK I am really interested in attending.